Health expert Luke Coutinho in his recent Instagram post said you must ditch refined sugar for a week which means no packaged foods, processed breads no refined sugar or artificial sweeteners. Sugar cravings can be difficult to resist. Many people all across the world have a sweet tooth. People tend to grab a candy; chocolate, ice-cream, desert or any other sweets soon after they have eaten a meal or when they are hungry. Sugar can be like a sweet poison. The more you consume, your body will need all the more to feel satisfied and curb your cravings. Sugar cravings can be difficult to resist. Moreover, consuming sugar in excess quantities can lead to several health problems like obesity, heart diseases, high blood sugar levels, inactivity, weak immunity, tooth decay, ageing, gum diseases and many other. Also, too much of refined sugar can take place of other essential nutrients. Therefore, it is very important that you restrict the consumption of sugar in your diet. When we say sugar we are talking about refined sugar here. This means you need to be careful about what goes into your diet. Refined sugar is found in bakery products, packed foods, canned juices and artificial sweeteners in foods. 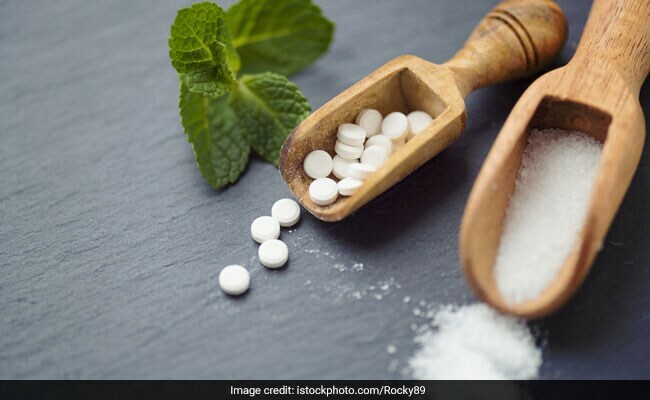 Health expert Luke Coutinho in his recent Instagram post said you must ditch refined sugar for a week which means no packaged foods, processed breads, no refined sugar or artificial sweeteners. When we say eliminate sugar from your diet, it does not mean restricting all your favourite foods. Foods which contain hidden sugar in so many packaged and processed food items should be restricted. These foods include flavoured oat meals, salad dressings, junk food, sauces, nut butters, protein powders, flavored yoghurts, sweets, candies, ice-creams, puddings and other baked goods. Some healthy alternatives suggested by Luke Coutinho are pure chemical free jaggery, dates, fruits, dry fruits in order to satisfy a sweet craving. Eliminating refined sugar from your diet can help you manage your weight, boost immunity, lower your blood sugar levels, make you more active and give you a younger good looking skin.